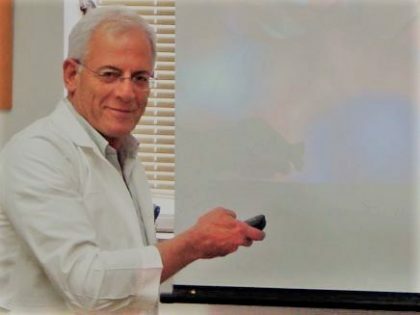 (Jerusalem, January 31, 2019)— Professor Amiram Goldblum and his team at the Hebrew University of Jerusalem’s Institute for Drug Research have discovered 27 new molecules. These molecules all activate a special protein called PPAR-delta and have the potential to treat fatty liver disease, obesity, diabetic nephrotoxicity, and to heal wounds. Professor Goldblum is cautiously optimistic about these findings. “With such a large group of highly active molecules, there is a high probability to find treatments for several common diseases. However, we should wait till all the experiments are done before we get our hopes up too high,” he shared.